Life as a petite gal can oftentimes be tough! It’s hard to find clothes that fit just right, not to mention eyewear that doesn’t overwhelm your dainty features. 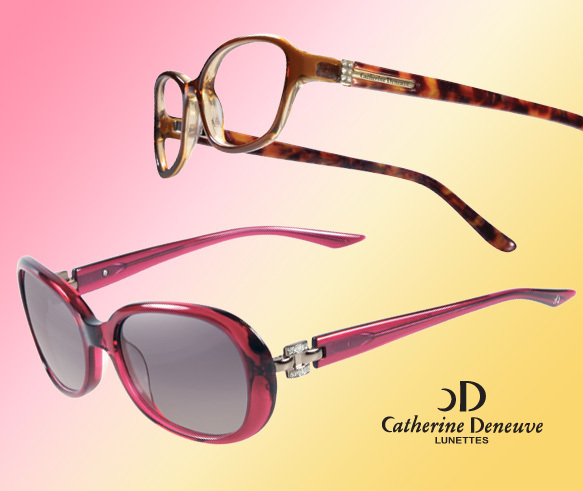 Lucky for you, Catherine Deneuve Lunettes has crafted specs and sunnies especially for women with smaller silhouettes! Fittingly, these frames are all about subtle details, creating a modest, yet feminine, look. Boasting a cat-eye-inspired oval silhouette and tiny jewels delicately affixed to the temples, these amber and tortoise eyeglasses give way to classic style with ladylike influences. And the soft butterfly shades include just the right amount of flirty fun, featuring a translucent pink coloration and glitzy gemstone embellishments. So don’t forgo wearing our favorite accessory just because you’re a wee bit smaller than most! After all, Catherine Deneuve Lunettes eyewear was made with you in mind! Find out more about these lovely frames here.